Home charcoal dermalogica face mask mask masque review reviews skin skincare Dermalogica Charcoal Rescue Masque Review - Does It Really Work? 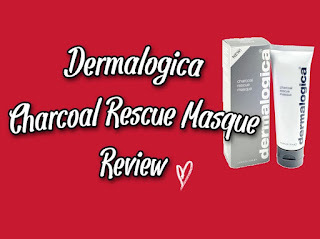 Dermalogica Charcoal Rescue Masque Review - Does It Really Work? 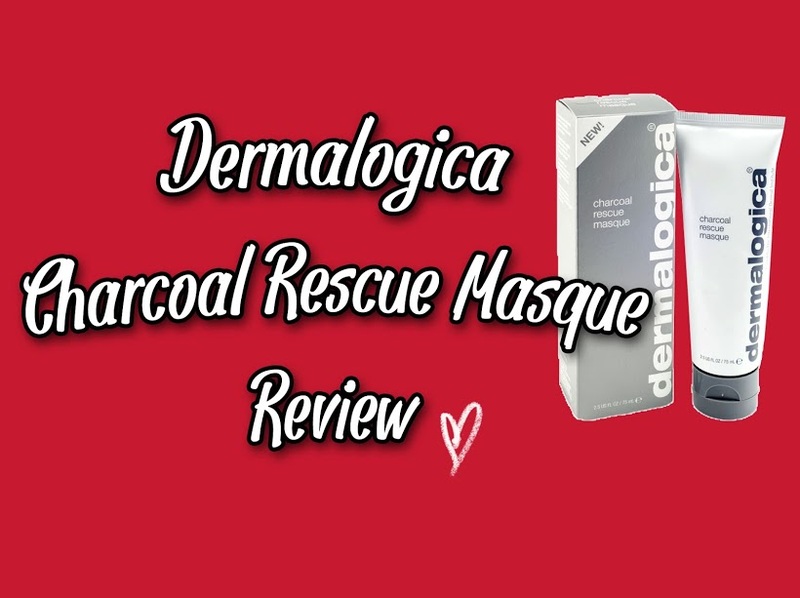 I'm back again with another review post, this time I'll be reviewing the Dermalogica Charcoal Rescue Masque. I haven't posted much about skincare so when I received this to try out I was excited to see what the results would be like. Dermalogica are a huge brand in the skincare world and this product is no different to the rest! The Dermalogica Charcoal Rescue Masque is made using ingredients that draw excess oils and impurities out of your skin leaving your skin with a vibrant glow. Some of the ingredients in the masque include: charcoal, volcanic ash, sea silt, bamboo and sulphur. All of these ingredients combined help keep impurities at bay, calm any redness in the skin pigmentation, refine pores and improve overall skin texture and smoothness. Sound too good to be true? That's exactly what I thought when I read up on the product! However, I decided to put it to the test to see was it really worth the hype. I couldn't have received this product at a more perfect time because when I got it my skin was breaking out and as a result was very red in certain areas. Before applying ensure that your skin is all clean, I removed all my makeup and used a face scrub before applying a generous amount of the masque all over my face and throat area avoiding my eyes. I left the masque on for about 15 minutes and then removed it using a damp cloth. I could feel the results even when I was removing the product, it felt as if the cloth was just gliding over my skin. And, once I had properly rinsed the masque off and left my skin dry I was surprised by the results. My redness was definitely after going down and my problem areas weren't as noticeable after just my first use which I was shocked at! I tend to have a very oily T zone and I find this product is perfect for anyone with oily skin as the charcoal in the masque absorbs any excess sebum that's in your skin (sebum is the oil that your skin produces). I found my skin wasn't as shiny and oily after I used the masque, for the best results I applied it after a shower before applying makeup. This ensured that my oily skin stayed away and my makeup stayed perfect all day. All in all I was very impressed with the effect this masque had on my skin and will definitely be getting some more once this tube runs out. I'm not too sure what the masque would be like on other skin types but it worked perfectly on my oily skin. The Dermalogica Charcoal Rescue Masque retails for about the €48 mark for a 75ml tube which I think is great value because you don't need to apply too much so the tube is guaranteed to last you quite a while. Dermalogica can be bought directly from the Dermalogica website here or you can click here to find your nearest stockist or you can call 1800556785. Have you ever tried any of the Dermalogica range? Let me know what you thought about them in the comments below!